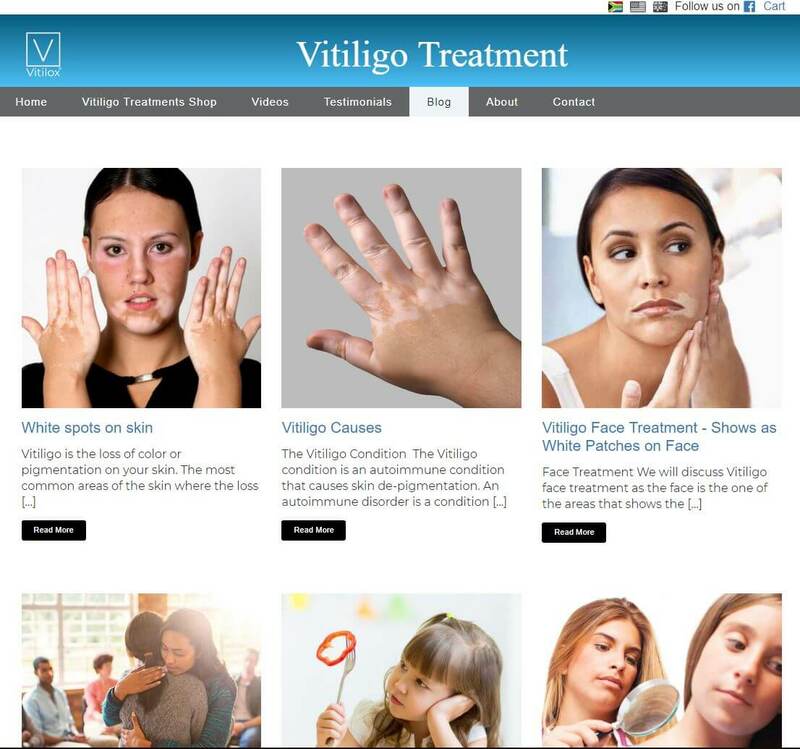 Treating Vitligo is an online shop that provides information on, and sells treatments for, the treatment of Vitiligo. 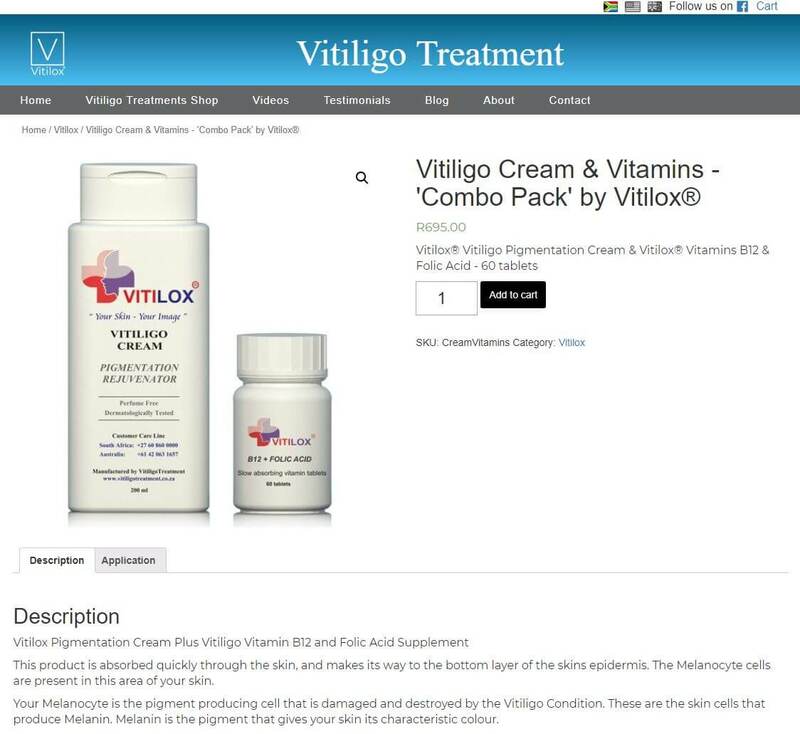 The company has online shops in the USA, Australia and South Africa. 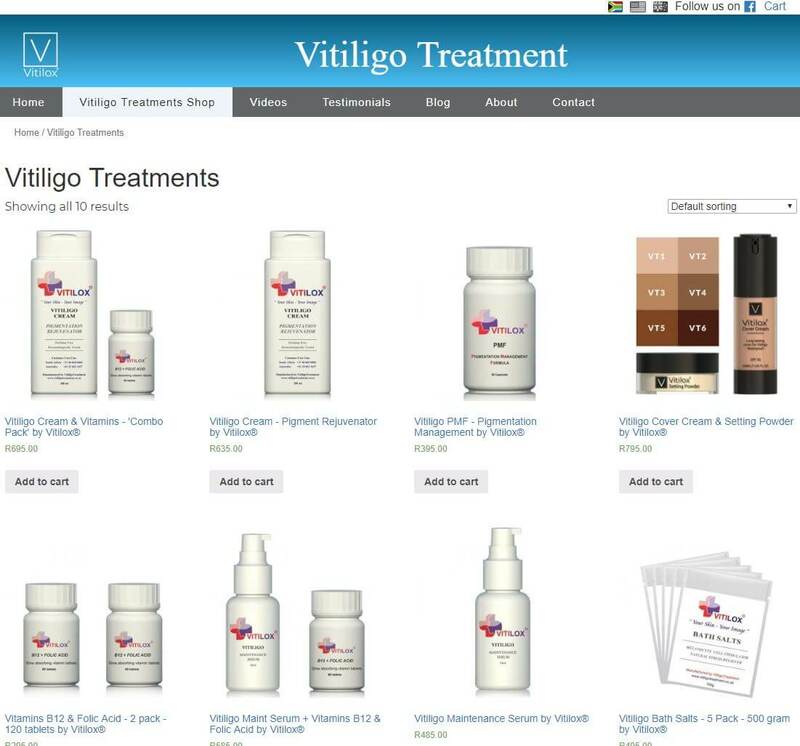 This is the website for the South African online store. 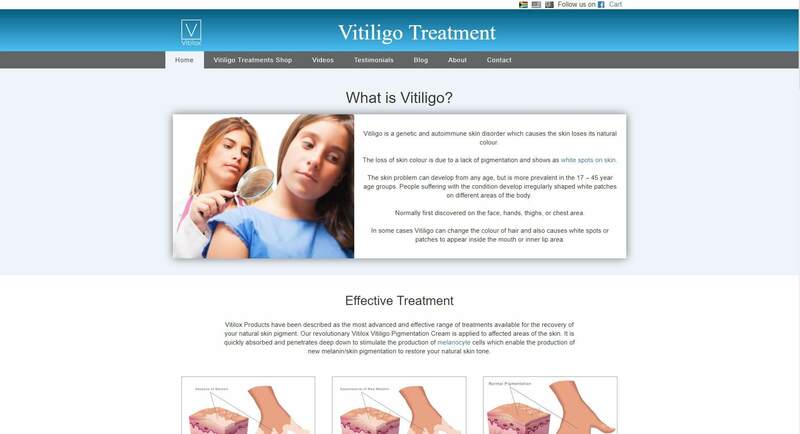 Information on the condition, it's symptoms, and treatment are provided in the blog. Online sales are accommodated using Payfast as the payment gateway, deliveries are facilitated through a courier company.